Any member showing interest in the discipline of behavior analysis as it relates to individuals diagnosed with ASD or developmental disabilities. This includes those who either lack the graduate-level formal training that would constitute a full member or does not want to pay the membership dues of a full member. 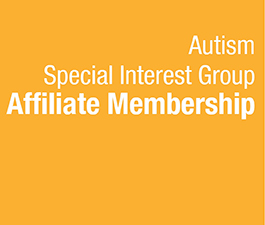 Affiliate members will pay an Affiliate Membership rate and will not be able to vote on membership decisions of the Autism Special Interest Group.